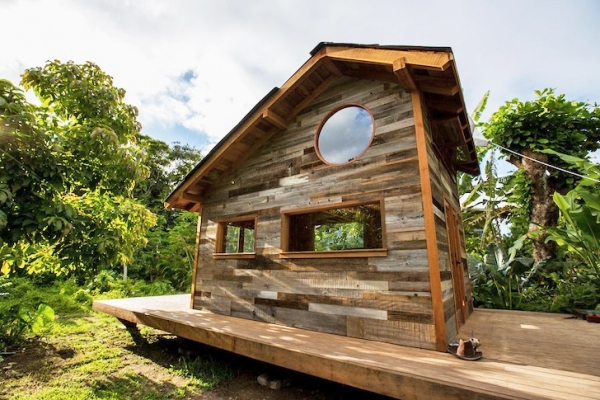 Built by an artist this small wooden cabin has so much style that it will take your breath away. 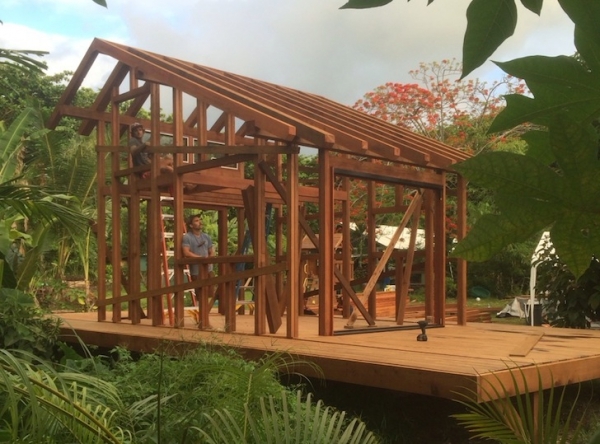 Jay Nelson used salvaged redwood to build this dream home on a small island near Hawaii that only took 2 months from start to finish. 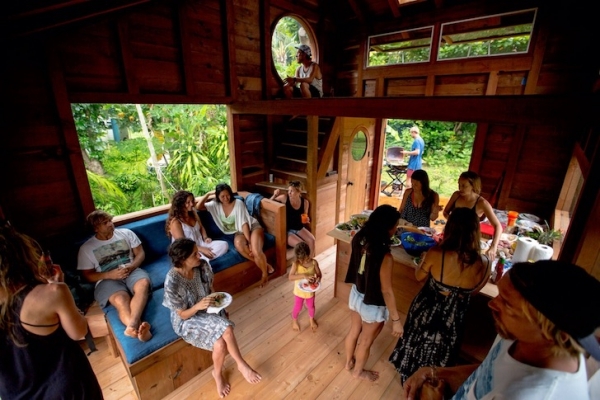 The 200 square foot wooden cabin is situated on a platform that stops any potential flood damage. 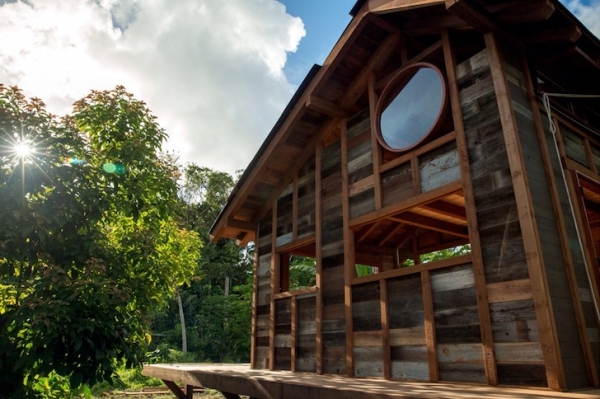 The design of the wooden cabin is quite geometric, with a warm feel and large windows that allow natural light into every corner. 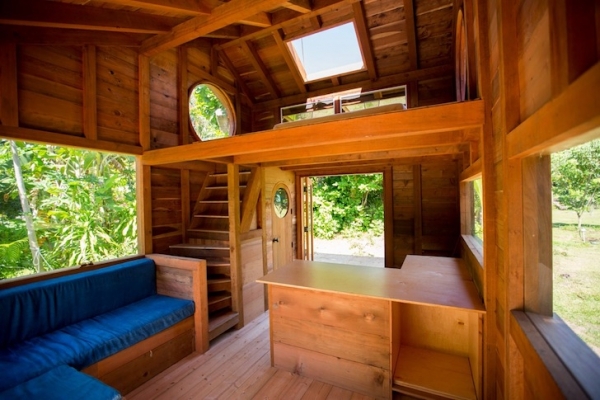 Some of the windows are circular, which adds to the appeal and quirkiness of this beautifully constructed wooden house with views of the surrounding jungle. A large platform is accessed from within the house via folding doors giving extra space for entertaining or relaxing. 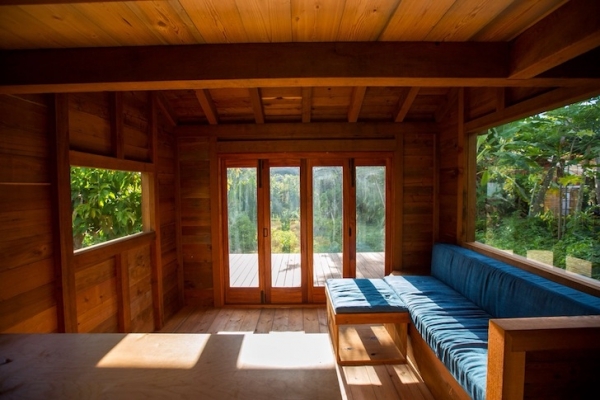 This small wooden cabin is a true delight, with as much of the redwood used on the inside as on the exterior. 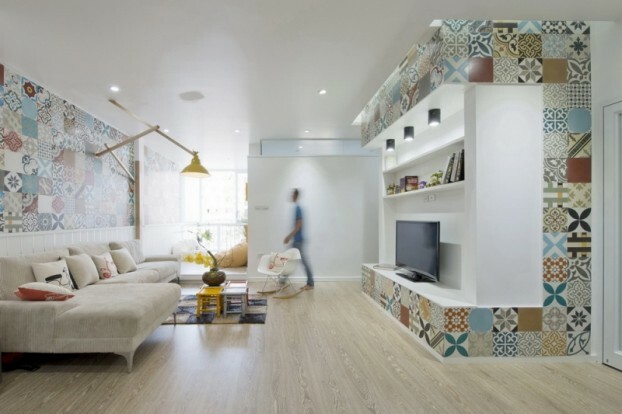 The open plan design works well in its jungle setting and also helps air to flow through the house. 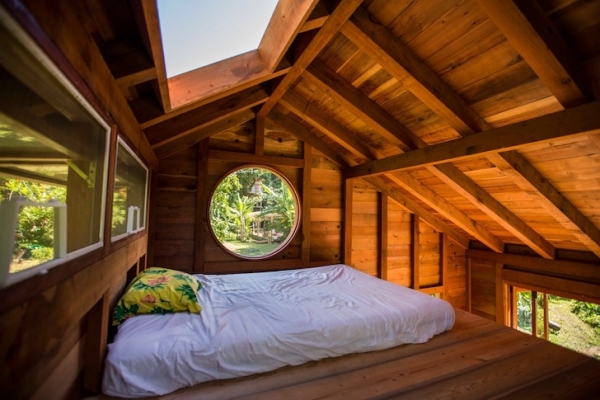 A large mezzanine is the perfect sleeping place and you can drift off watching the stars through the skylight above. On the ground floor you will find a seating area with great views and a small bathroom situated nicely underneath the staircase. I’m interested in the design and if there is a way that i can talk to the designer of the building, and if i can get the blue print for the buliding that would be great full. and if it for sale or something i’m interested in the building, because i’m an engineering student and i’m looking forward to try build something and work in the field.